WiFi Warden is a useful Android application related to your WiFi connection. As the name indicate its a warden for your WiFi. Its mean you can use application to check all the details related to your WiFi network. All the important information that one needs about his connection including the Wifi security level. It let you know the strength of your password. Whether you have to change your password or you have a well secured password. WiFi Warden is a must have security tool for your network. It has most advanced features that everyone needs for internet connection. With the application you can easily able to check the manufacturers of your network device or modem, the frequency and channel that you are using, IP related information and so on. WiFi Warden APK supports almost every Android OS devices, smartphones and tablets. But there are some important points you have to remember before installing it on your Android. 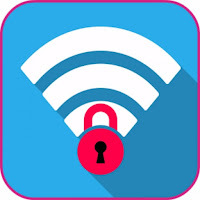 WiFi Warden APK need root access on Android Versions 4.4 and for the previous version. If you have Android devices, smartphones having Version 5 and Above, you do not need root access. This is a brief topic about WiFi Warden App for Android, it has so many features you will like. If you want to download application for your Android then you can get app for free from this page. Click on the download link at this page to get Apk File for your Android. The related Apps you can also free download AndroDumpper and WiFi Doctor. It lets you know about all the basic and advance information related to your WiFi. You can able to know the security level of your Wifi. Get necessary information related to your password. You can check your router or modem manufacturer and more. Suggestions for strong passwords to increase security level. Show you the devices connection to your network.